Expert artists here have succeeded in transforming favorite photos into beautifully woven photo throws. As with all our other throws, it's a perfect way to remember any special occasion. 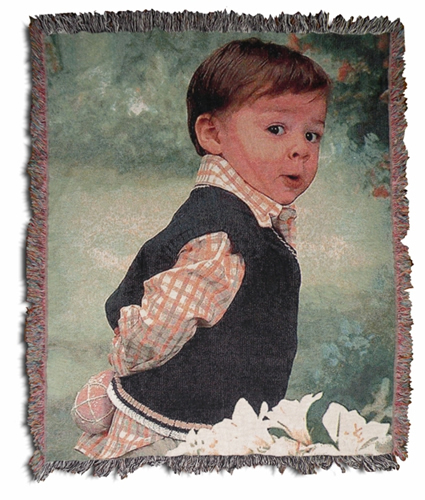 The thick, woven throw is made of 100 percent cotton, measures 52 x 63 and can be machine washed and dried. Perfect as a tapestry or wall hanging. Made with fringe on 4 sides (no binding). Text cost is .60 per character.